Being at the top of the replica industry is everything an online company dreams of. 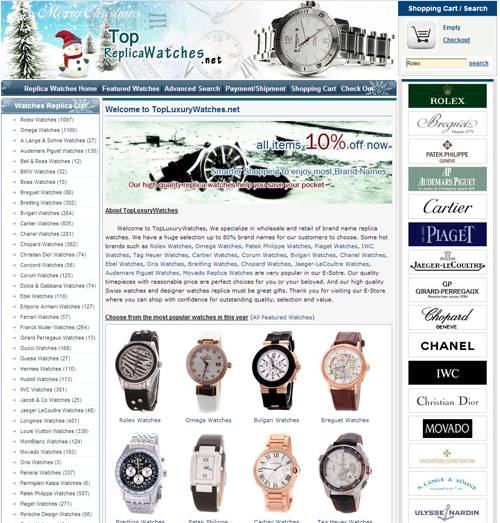 Just as we, customers, dream of finding that perfect website from where to purchase our very own top replica watches. 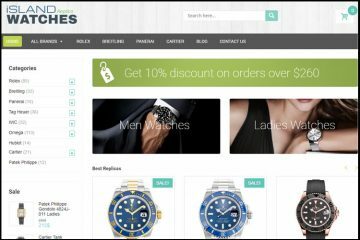 Is Topreplicawatches.net such a company? Let’s find out. The company sells both Swiss and Japanese made watches. The Japanese replicas cost about $100-$200 while on the other hand the Swiss ones go up to $800. These are the usual price tags for knockoffs on the Internet and whether or not you prefer a Swiss over Japanese, it is strictly a matter of budget and priorities. If you value quality then you will save enough to buy a Swiss mechanism watch. The product description page is divided into two parts: the first one presents a very short and useful description of the product, whereas the second one tells a story of that particular design. Everything is nicely put together in the most professional way. Topreplicawatches.net ships packages worldwide with FEDEX, DHL, EMS Speedpost, as well as UPS. The delivery takes about 5-10 business days and a tracking number is provided. Additionally, the delivery of all orders is guaranteed and in the event that your package isn’t delivered successfully then it will be reshipped free of charge. The shipping fee for orders smaller than $100 is $40 while the delivery is free for orders over $600. I must say that this website is able to process some of the most divers and most-used payment methods, such as Visa, Mastecard, Western Union with a 10% discount, Bank Wire and Paypal. These are very reliable and trusted payment options worldwide used and wide-web accepted. In case you were wondering, no, cash on delivery payments are not available and it is not that difficult to see why. Shipping is quite expensive and no company would risk sending out so many packages that might be refused by the customers just out of plain convenience. Topreplicawatches.net is one of the most impersonal and dim-witted websites I have ever seen. Its overall look is a whitish one with blue and gray accents. Indeed, responsible for this color scheme choice is the winter theme of the online store, a winter theme that I strongly disagree with. It gives the impression of a touch-and-go website made to sell just for the holidays and that will possibly shut down after cashing in from the most intense shopping spree of the year. We, potential customers, are looking for stable websites that function all year long and also for many years yet to come. The layout is a very well organized one. The product menu bar is on the left, the informative links are included in a top side menu positioned under a wide banner, while on the right we have a sequence of brand logos and in the center a big pile of bulky text alternated by product photos. I have to admit that the menu is quite long and it lists numerous brands, maybe a little bit too many. Don’t get me wrong it is great to find a merchant that carries a wide range of watch designs, but it all seems pointless if it doesn’t also provide a functional filter or an Advanced Search. 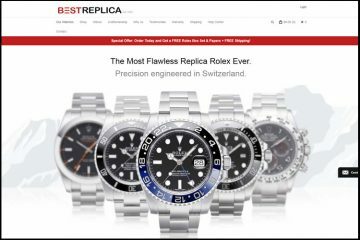 I mean, how are you ever going to find what you are looking for if you have to browse 74 pages of Rolex replicas? The merchant provides a 90 days repairs warranty and also mentions that the customer has the right to claim a full refund if he is dissatisfied with the products. Yet, it does not say the time frame for its refund policy. I seriously doubt that it will allow to its customers to ask for the money back at any given moment of its 90 days warranty. Also, please note that the repairs warranty covers only manufacturing defects. Wear and tear defects, as well as water damages are not covered by the warranty. Pictures: The quality of the pictures is plain awful. The photos are small, unclear and utterly unaesthetic. There is only one image per product showing just the dial. There are no detailed photos showing the various parts and angles of the products. Additionally, the main picture cannot be enlarged or zoomed in. The merchant clearly did not pay any kind of attention to this very important detail of its online business: having good product photos. Honestly, you can’t see any kind of details for these replicas. The pictures are there just for decorative purposes and nothing more. Customer service: So what kind of customer service does Topreplicawatches.net provide? From my point of view: none. The company insists that it offers around the clock support to its customers or potential customers. This so called 24/7 customer service actually means an email address to which it may or it may not choose to answer. My opinion is that any self-respecting company provides actual customer care in real time by phone and by chat. These are the most important ways of getting an immediate response from a seller, the only security that the customer has about how trustworthy a merchant really is. 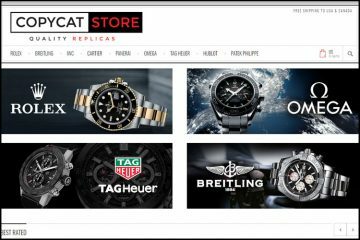 Summary: Topreplicawatches.net is surely not a top store, it most definitely does not carry top replicas and it obviously does not provide top services. The most we could say about it is that it is an ok replica store. 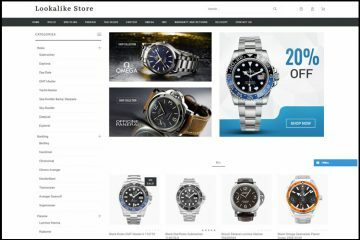 If you are ready to settle with ok then you could very well order from this website, but if you are really looking for top notch watches then you should move on.